Tina Carnal named January Employee of the Month! 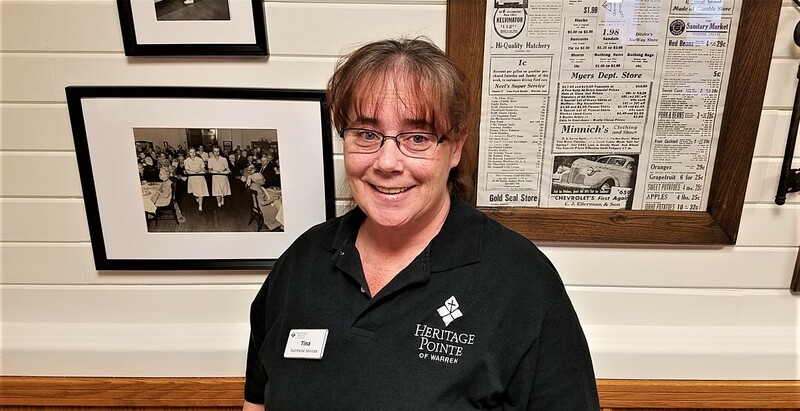 Tina Carnal has been with Heritage Pointe of Warren for the last 23 years on our Deitary team. Her ideal vacation would be going to Australia or going to a Nascar race with her family. Her favorite TV show to binge watch is Criminal Minds, and she is proud of her son. Tina’s go-to karaoke song is Heaven by Kane Brown. Thank you for bring your best to work everyday!